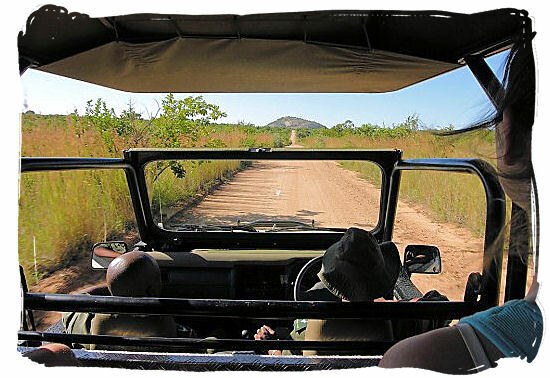 A national park safari in South Africa is an excellent alternative to a luxurious 5 star private game reserve safari. Besides the Big five you will find plenty of other fascinating wildlife, such as Hippo's, Jackal, Giraffes, Zebra, Warthogs, Wildebeest (Gnu's), Hyenas, Cheetahs, Wild dogs and many antelope species, etc. Southern Africa's national game parks are a paradise for the wildlife enthusiasts, offering a range of accommodation types to suit all preferences, from low budget camping and rondawel huts to medium budget guest cottages and five-star luxury bush lodges. You can visit these national parks either on an individual self-drive basis or by joining an organized safari tour. The types of game viewing experiences offered by them range from guided game drives with highly trained game rangers mornings, afternoons and at night, to exploring the Park with your own vehicle and in your own time, or viewing the wildlife on foot, guided by armed game rangers. The flagship park in South Africa of course is the Kruger National Park, stretching north to south for 350 km all along the border between South Africa and Mozambique The Park houses close to 150 species of mammals, more than 500 species of birds and more than 300 species of trees. Other world renown national parks in Southern Africa are Chobe national park in Botswana, Serengeti national park in Tanzania and Masai Mara national park in Kenya, to name only but a few. 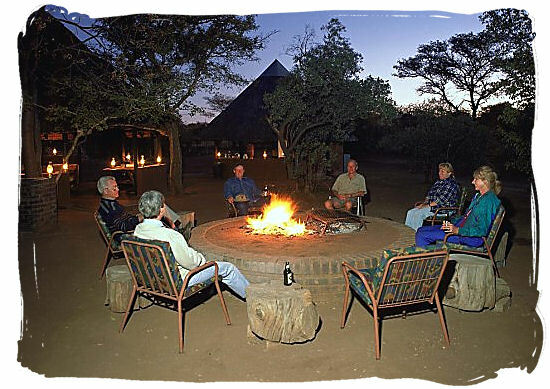 You will find that most types of safaris such as permanent base safaris, mobile base safaris, luxury fly-on safaris, walking safaris, self-drive safaris and so forth, are available inside the larger national wildlife parks, like for instance in the Kruger and Kgalagadi national parks in South Africa. Depending on your preferences you can choose between a participation kind of safari experience, which includes do it yourself activities such as setting up your own tent and doing your own cooking, and a less participating and more comfort kind of experience, where you stay in chalet type accommodation cleaned and serviced by camp employees and have your meals at the camp restaurant. It is important to realize that South Africa's national parks are not all the same. They differ considerably in fauna, flora, scenery and climate. Not all of them have the Big Five for instance. So, to make certain that your safari will meet your expectations, it is important to do some research before selecting the Park that you are going to visit. with user reviews and ratings, travel guides and maps, pros and cons evaluation, wildlife and scenery evaluation. Late afternoon game drive in the Kruger National Park. There is not much that can beat the freedom of exploring the Kruger National Park all on your own,driving your own vehicle. 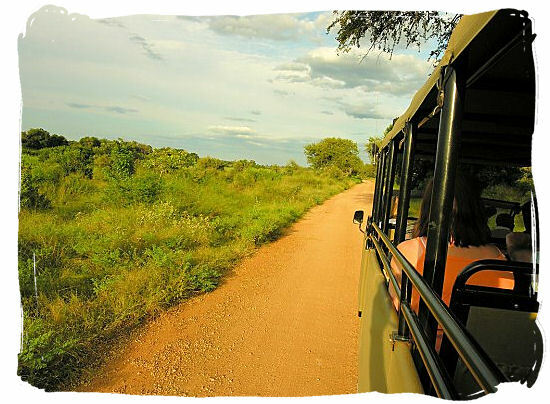 However, to really make the most of your Kruger Park safari experience, you should also take advantage of the guided morning, sunset and night game drives that are being offered by the park. The rates are very reasonable. 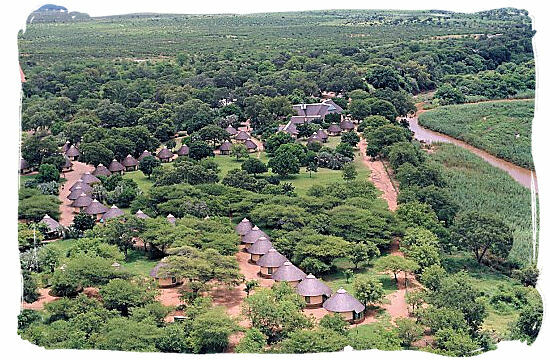 Aerial view of Letaba rest camp in the Kruger National Park. Letaba is one of the main camps in the Kruger National Park. It is situated just above midway between the northern and southern boundaries of the Park on the banks of the Letaba river. An oasis in the flourishing mopane veld surrounding it, the camp offers great views onto the Letaba riverbed where most of the Park's larger mammals often visit. 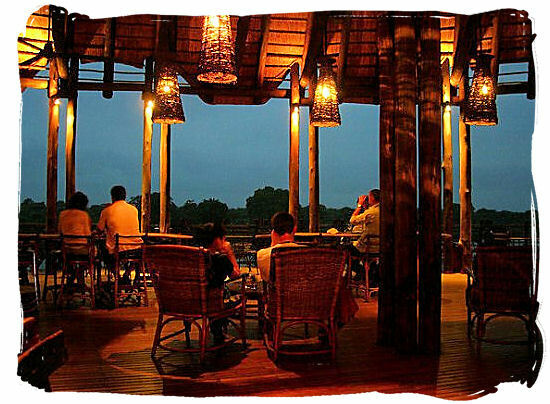 View of the restaurant and lounging area on the deck of the Lower Sabie rest camp in the Kruger National Park. The camp is situated on the banks of the Sabie river, with the deck offering same great view across the river. The Lower Sabie region is very rich in wildlife in terms of numbers as well as diversity. Morning game drive in the Kruger National Park. These morning game drives usually leave the camp at 4h30 in the morning, long before the camp gates open for the self-drive visitors. Perfect time for witnessing and experiencing the awakening of the African bushveld. It is also a great time for Big Five encounters. Predators are still active at the end of the night, while Elephants, buffalos and Rhino's are getting up and going for a new day of foraging. Relaxing around the camp fire at the end of an exciting safari day. One of the best parts of a long and exhilarating day in the African bushveld. A delightful shower, an ice-cold drink around the camp fire, a delicious bushveld dinner under a wonderful African night sky and at the end of it all blissful sleep. Experience the beauty and diversity of the National Parks in South Africa, the following is a play list of videos including 23 national parks, showing their unparalleled diversity of adventure tourism opportunities including game viewing, bush walks, canoeing and exposure to cultural and historical experiences. South Africa's national parks are operated and managed by "South African National Parks" (SANParks) under the auspices of the Department of Environmental Affairs and Tourism. Enjoy!! "Kruger National Park Safari", Filmed and Edited by Brendan Goldberg: "This was a great trip! We saw so many incredible animals! Thank you for watching!" Covering an area of 19,633 sq km (7,580 sq mi), the world renown Kruger National Park is the flagship of South Africa's 23 national parks. Stretching 360 km from north to south with an average width of 65 km west to east, the park is situated in the far northeastern corner of the country. Kgalagadi Transfrontier Park in 100 Seconds, short video flashes of a self drive trip to the Kalahari. An amalgamation of the Kalahari Gemsbok National Park and the Gemsbok National Park in Botswana, the Kgalagadi Transfrontier National Park covers an area of 38,000 sq km ( 15,000 sq mi), with one-quarter of it lying in South Africa and three-quarters in Botswana, most of it within the southern Kalahari desert. It is home to a variety of predators such as the black-mane Kalahari Lions, Leopards, Cheetahs and Hyenas and herbivores such as Wildebeest (Gnu's), Eland, Hartebeest and Springbok. Short video clip of the famous Serengeti National Park in Tanzania. Covering an area of 14,750 sq km (5,700 sq mi), the Park is situated in the northwestern part of Tanzania with its northern boundary lying on the border with Kenya. From there the Park continues as the Masai Mara National Reserve, which is situated in Kenya. Together these two world renown national parks are famous for the annual migration of 1,5 million Wildebeest (Gnus) and over 250,000 Zebras. short video clip of a self-drive safari in the Chobe National Park in Botswana. Covering an area of 11,700 sq km, Chobe is the third largest national park in Botswana and is home to one of the largest concentrations of African wildlife, including a spectacular population of 50,000 Elephants. With the Chobe river forming its northern boundary, the park borders with the Okavango Delta and Moremi Game Reserve in the south-west and with the Kasane, Kazuma, Maikaelelo and Sibuyu forest reserves along the Zimbabwe border in the east. Victoria are only 100 km away from its north-east entry gate.